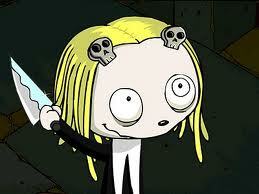 lenore the cute little dead girl. I wanna start a roleplay for this,a comic im getting into :D. Wallpaper and background images in the Random Role Playing club tagged: lenore ragamuffin roman dirge. This Random Role Playing photo contains anime, grappig boek, manga, cartoon, and stripboek.